The Main Street Portsmouth’s recent Lucky Clover Contest gave participants a chance to win $250 in gift cards to downtown restaurants by picking up a lucky clover card and having it stamped at three downtown businesses after a purchase of at least $5. 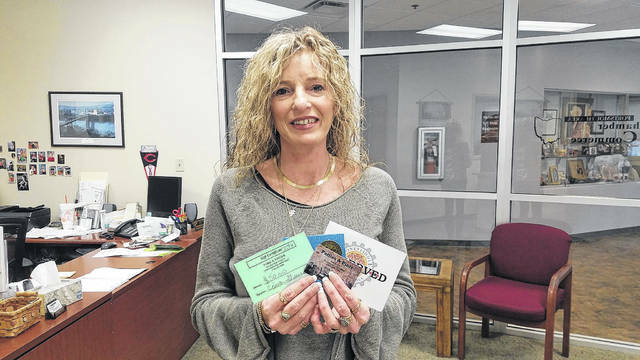 When stamped at three businesses, the card was then entered into a raffle for the gift cards. Jennifer Jackson of Portsmouth was the winner, her lucky clover card having been drawn from the collection of all the cards submitted. According to Pratt, Jackson was excited to win the contest and receive her gift cards. Due to the success of the Clover Contest, Main Street has been approached by additional businesses that want to get involved in more downtown events. “We actually had a Mr. Austin Johnson of Western & Southern Life hear about this event and offer to host another with his business. He will be assisting in its organization, and funding a Fourth of July version. We are thrilled that our small investment not only worked here, but caused another great local business to invest in downtown,” Pratt said.